Why is my Amazon Fire TV Stick remote not working? This has been a question amongst users of this streaming device who are either unable to pause a movie using the remote, or the remote suddenly disconnects and they get key unresponsiveness even after rebooting the Fire TV Stick. The question may even take other forms such as Amazon Fire Stick remote not pairing, Firestick remote won't pair after a factory reset, and Amazon Firestick with Alexa remote not working. 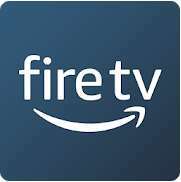 We have rounded up solutions from the XDA forums, community.samsung.com as well as other reputable websites on the net in a bid to ensure that the good functionality of your Fire TV is restored. What is Fire TV Stick and Fire TV Stick Remote? What causes Fire Tv Stick Remote not working issue? Each of these will help you to easily resolve any issues you have regarding the Fire TV Stick remote be it a minor or major one. What is the Fire TV Stick? The Fire TV stick is a streaming media player developed by Amazon. Its mode of operation is similar to that of the Apple TV 4K, Google Chromecast, Roku Streaming Stick+, and Nvidia Shield TV (2017). This player can be plugged into a TV’s HDMI port, thereby allowing you to watch movies and TV shows you've already purchased using your Amazon account or uploaded to Amazon's cloud storage. You can gain access to photos, music, apps, and games on this repository device and also stream videos from popular sites like Netflix, YouTube, HBO Now, ESPN, and Hulu. Therefore, you can you access the internet with Fire TV Stick. How About the Fire Stick Remote? Packaged with this Fire TV Stick, is a remote featuring menu, home, and back buttons, and fast-forward, play/pause, and rewind buttons for easy navigation as well as a microphone and voice search to locate your favorite content on the net. The capabilities of this remote can be attributed to its Alexa, voice recognition, and voice command technology. You will also find other accessories such as USB cable and power adapter, HDMI extender, and 2 AAA batteries all of which combine to help this digital media player work efficiently. If you own a Fire TV stick, then you're already taking advantage of the capabilities of this streaming media device, that is why its malfunctioning can be quite disturbing. Before we proceed with what to do If you find your Fire TV remote not working, it might be helpful to know what causes this problem even in 2018. This is because a knowledge of the possible causes will help you to fix it without going through several trials and error that may cause more harm than good to the device. Some users will attest to the fact that their remote consumes too much power. One of the reasons why your Fire Stick remote may not be working properly is because of the 2AA batteries whose power have been drained. Due to depletion of battery power, the remote may become unresponsive and hitting it a couple of times as is usually the case with most people will not be able to resolve this issue. Alternatively, a quick change of the batteries can help you resume your movie watching in no time. While a change in the battery can significantly restore normalcy to your remote, this may not be entirely true. If your battery tends to leak, then most likely, there will be chalky residues on the batteries' connectors. As a result, the batteries cannot serve as a power source to the remote. Here, if your Fire Stick remote has not been automatically paired as some out of the box remotes usually are, you will need to do it manually before it can be functional. Even if it has already been paired, it may have been paired incorrectly. In either case, you will have to pair the device to your TV or re-pair it using the remote instructions and this issue will be resolved. In a later section, we'll be looking at how to fix Amazon Fire Stick remote not pairing issue, so read on!! If you're using a third party remote for the Fire TV or Fire TV stick, it may be incompatible with it. Although there is a range of remotes and third-party game controllers that support them, it is possible that the one you're currently trying to pair is unsupported. It may not be able to pair to the device from onset or it may pose several problems over time. As the value of anything you buy depreciates over time, your remote may be damaged and in need of repair. You will need to either replace it or contact the Amazon Fire Stick customer service. Now that you know what may be the possible causes of your malfunctioning Fire TV remote, several solutions have been outlined below. 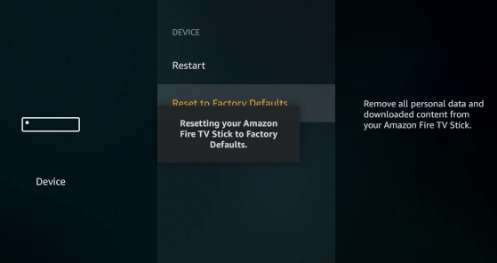 These solutions will show you how to pair Fire Stick remote after a factory reset, resolve Amazon Fire TV remote voice search not working, and generally, fix the major issues encountered while operating the remote. The first thing you'll have to do as an attempt to fix the Fire Stick remote problem is to reboot or restart the Fire TV Stick device. Upon restarting, unplug the power cable for a few seconds and plug it back again. Your remote should be working properly now but If it doesn't, then fret not because there are still a couple of simple solutions that will fix it in no time. An unpaired remote to the FireStick is one of the major reasons why the Fire TV remote may be unresponsive. If you see your remote's name, then it has been properly paired to your Fire TV Stick hence you can be sure that it's not the root cause of this problem. Hold down the Home button for about 10 seconds. After a long press of the Home key, you should get a confirmation message that a new remote has been added for the Fire Stick device, hence your remote has been paired successfully. If the Amazon Firestick remote is not pairing, then ensure that you do not have 7 devices connected to it already. This is because only 7 Bluetooth devices or game controllers can be connected at a time to the Fire Stick. Check the Controllers and Bluetooth devices section to ensure that this number has not be reached. If it has, disconnect/unpair unused devices or remotes following the onscreen instructions and then retry the steps given above to pair your Fire TV stick remote. Another quick fix which has been effective for most people who have encountered this same issue was to simply replace the batteries. You should check your connectors to ensure that the acidic properties of the batteries have not leaked and there is no white substance coating it. This residue released by low/cheap quality batteries can prevent the battery and connectors from coming in contact, thereby making the remote unresponsive. Clean your connectors with a steel wool and dry cloth. Then you can proceed with replacing your batteries with brand new alkaline batteries which are of a great quality. Keep in mind that the + side of the battery should be on the + connector while the - side should be placed on the - connector. If you're using a third party remote which is neither out of the box nor from Amazon, it is possible that it may not be compatible with your Fire TV stick. Trying out each of the solutions listed above may be fruitless. You need to verify if the remote or game controller you have purchased is compatible with the Fire TV and Fire TV stick. Your sure banker is either to call the Amazon support care to fix your Fire TV Stick remote or to buy a new Fire Stick remote. You can contact the Amazon devices customer care on 1-844-229-2888. Go to Customer Service by selecting the three lines at the left corner. Finally, select an issue that is related to what you're facing. In need of a replacement? You can buy a high-quality Fire TV stick remote on Amazon. If you'll rather not worry your precious head about what's wrong with the damn Fire TV stick remote, then there's a Fire TV stick remote app for Android and iPhone smartphones. Not only will this save you from buying and replacing batteries, scouting the net for solutions of how to fix the remote, and the time you'll spend looking for where you last left the remote, then you may find an app more beneficial. This remote app on your smartphone, allows you to operate your Fire TV stick as if you were with the physical remote and you can even still install Google play store or Kodi on the Fire Stick. Voice recognition and voice search which are some of the features we admire about the Fire Stick remote are also part and parcel of this app. Consequently, your device must meet the specifications required for running the app on each type of device or Operating System. Download Fire TV Stick remote app for iPhone on Apple App Store. You can control your Fire TV stick with the remote app by pairing it. Enter this code in the App and then pair both devices. And you're set to enjoy your favorite videos, music, and games. While you would've successfully avoided problems that may be inevitable with the use of a remote, an app still poses its own problems ranging from compatibility to lagging. In the case of the later, Android users who have installed the app on their phone can ensure its seamless operation by clearing its cache data and the re-pairing the app to their Fire TV stick again. It's that easy and you can work your way around it! 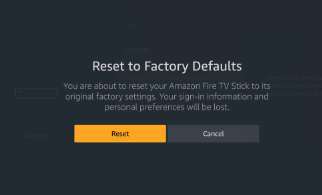 Are you also wondering how to reset Firestick to factory settings, zoom out on Fire TV stick, and turn off the fire stick? Then we've got you covered in this part where you'll find some Fire TV Stick tips. Resetting your Fire stick will be able to eliminate any errors you've encountered so far and even help to resolve the improper functioning of the device. On the other hand, the custom settings you've made will be restored back to default and your device will feel like it's totally out of the box. Goto 'Device' and scroll to the bottom of the page. Next, confirm your selection by clicking on 'Reset' to begin the restoring process. You can do this in two ways either by turning on accessibility features directly in the Settings menu or using the display calibration. From the Fire TV home screen, navigate to Settings. Scroll to the right and select Accessibility. Click on Screen Magnifier to enable the zoom feature. Hold down the Back + Fast Forward keys for about 3 seconds to enable or disable Screen Magnifier from any screen. Next, press Menu + Rewind to zoom out. Pressing Menu + Up, Down, Left, or Right to pan in these directions. Pressing Menu + Play/Pause to quickly enable or disable zoom. Note: According to Amazon, most video content will not zoom hence zooming in and out will be most effective on certain content including images. To turn off your Amazon Fire TV stick, you can safely pull the plug from the wall outlet or remove the cable connected to the Fire TV stick device in order to disconnect it from its power source. On the screen that appears, use the Select button to click on Sleep. 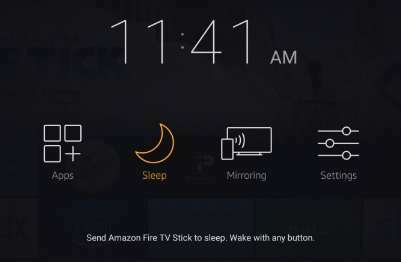 This will send your Fire TV stick into a sleep mode. You can wake up your Fire TV Stick by pressing on any button on the Fire TV Stick. Firestick remote not working will be a thing of the past since these solutions will come in handy especially when you need it. Moreover, you can make do with the Fire TV stick remote APK or iOS app which will ultimately eliminate issues such as Firestick remote won't pair after factory reset. Try out these solutions as we well as the app to see which is more convenient and which works best for you.